On Monday November 6, 2017, His Eminence Kyrill Archbishop of San Francisco and Western America presided over the Divine Liturgy on the Feast of the Diocesan Cathedral on honor of the Icon of the Mother of God “Joy of All Who Sorrow” in San Francisco as the clergy and faithful of the Western American Diocese gathered to mark the diocesan-wide celebration of the 10th Anniversary of the restoration of Canonical Communion between the Russian Orthodox Church Outside of Russia and the Moscow Patriarchate, and the 25th Anniversary of Archbishop Kyrill’s consecration to the episcopacy. Concelebrating the Divine Liturgy with His Eminence were His Grace Theodosy Bishop of Seattle, His Grace Bishop Irenei Bishop of Sacramento, 30 priests and 7 deacons, which made a total of 40 clergy who came to participate in these festivities as well as to mark the 100th Anniversary of the Bolshevik Revolution that was also combined with the Autumn Pastoral Retreat of the Clergy of the Western American Diocese. 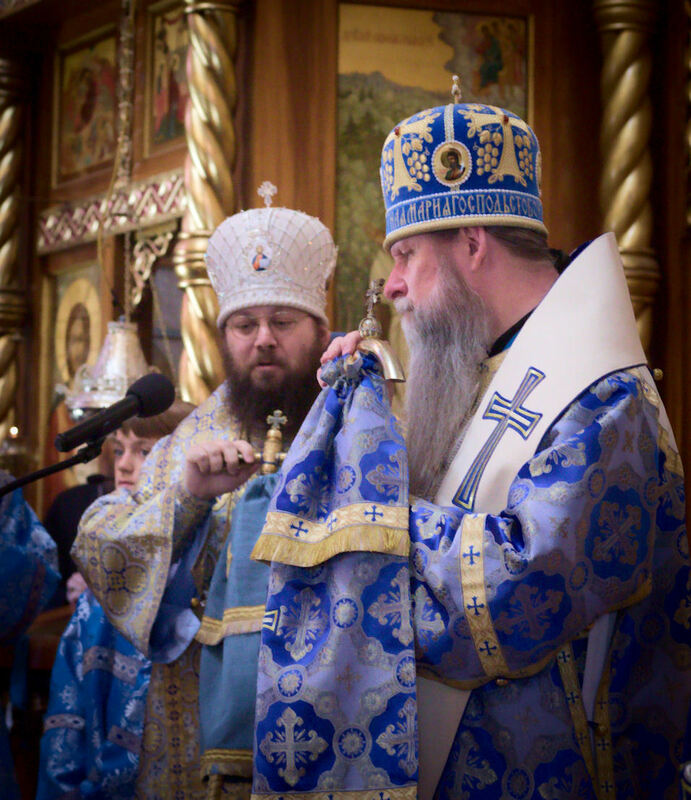 During the Small Entrance two priests received clerical awards for their zealous service to the Holy Church: Priest John Comanescu received the gold pectoral cross and Priest Sergy Kiryukhin received the kamalavka. After the cross procession, His Grace Irenei Bishop of Sacramento gave the sermon in which he summed up the deep significance and joy that we have experienced through the established union between the two halves of the Russian Church. He also warmly congratulated His Eminence Archbishop Kyrill with archpastoral service to Mother Church for the span of a quarter of a century. 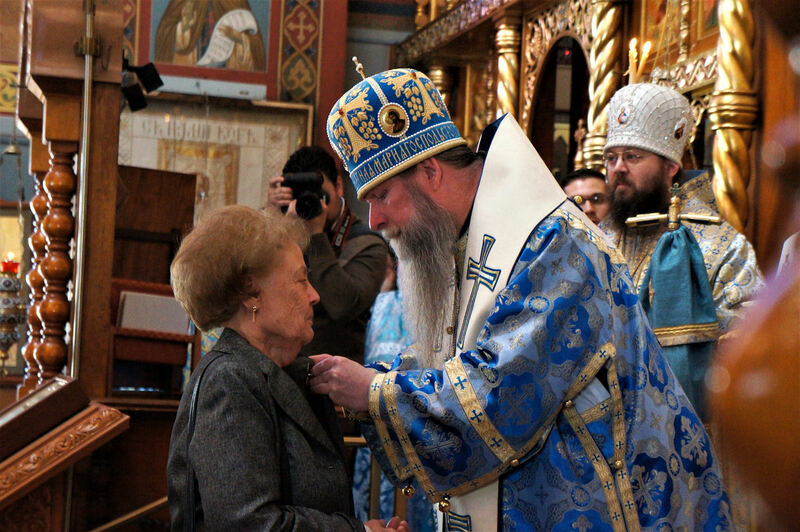 After the sermon Archbishop Kyrill awarded Kate Koloboff and Sergei Shidlovsky with the Order of Saint John for their faithful service to the Holy Virgin Cathedral. During banquet organized by the Sisterhood of the New Cathedral His Grace Bishop Theodosy of Seattle and many clergy from both the Western American Diocese and from abroad – Australia and Canada – brought gifts and raised toasts to Archbishop Kyrill, thanking him and wishing him many years. 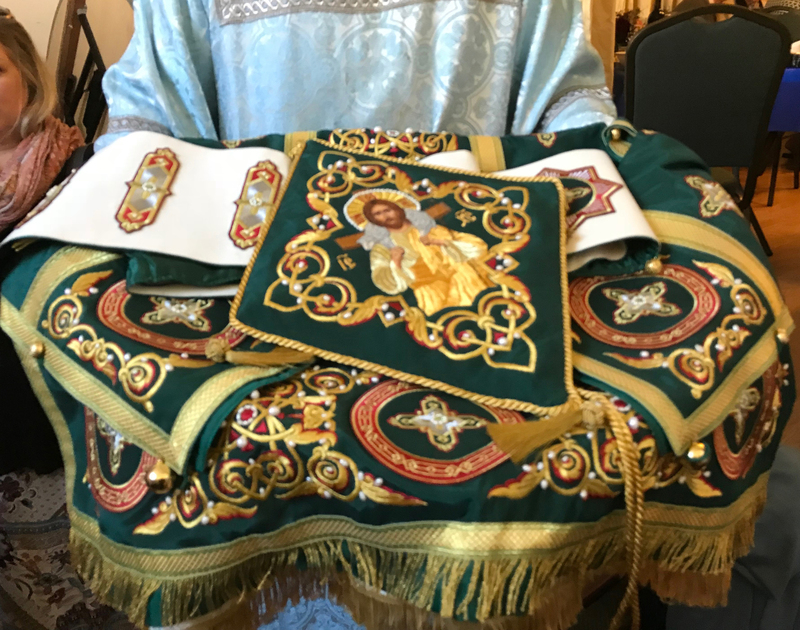 A beautiful gift of bishop’s vestments – a common gift of all members of the Diocese – was presented to His Eminence as a means to commemorate the occasion, something through which Vladyka can use and fondly remember the love and dedication his flock has for him. In response to all of the warm words spoken, Archbishop Kyrill humbly replied with gratitude, but also with wonder. He told his flock that he does not see such good in himself as has been expressed by his spiritual children and feels he has only now beginning his spiritual and pastoral service as is befitting. 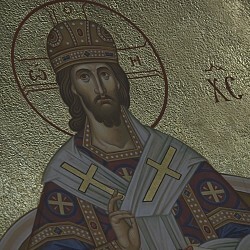 Many years to His Eminence Archbishop Kyrill. Ispola eti Despota!